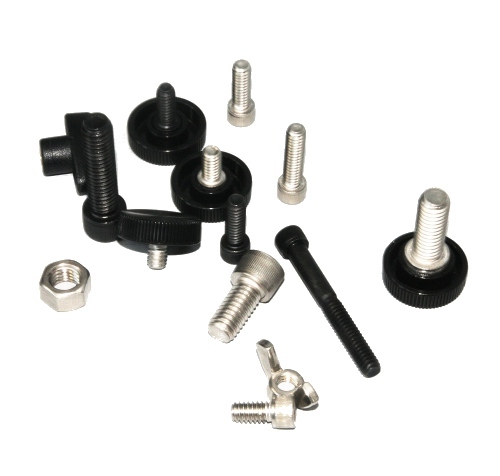 We offer a rich selection of screws, nuts, and adapters for mounting cameras and other photograpy stuff. All screws, nuts, and adapters are either small (1/4") or large (3/8") in diameter. Small diameter screws are normally used in combination with compact cameras, bridge cameras, and DSLRs. (If you manage to get a metric M6 screw a little bit into the hole of your camera, it will surely be a 1/4".) Large diameter screws were formerly used with medium or large format cameras. Today, 3/8" is the standard screw diameter for tripods and tilting heads. 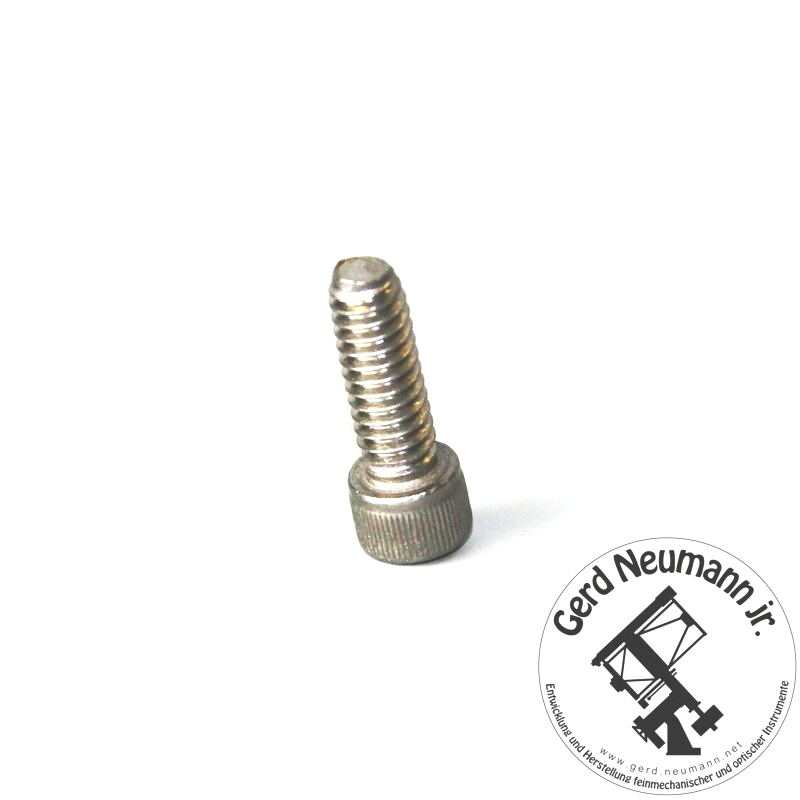 We offer a wide range of screws with lengths up to 2" in both variants. You may choose between allen screws or knurled screws. (The head of the knurled screws is made of black plastic.) Screws with other head shapes are available on request. You may choose between screws made of blackened regular steel or high strength stainless steel. Matching cutting tools (screw taps and screw dies) are also available. Small screws are 1/4" in diameter and have a pitch of 20 TPI (turns per inch). Large screws are 3/8" in diameter and have a pitch of 16 TPI (turns per inch). The length given in article information relates to the shank of the screw. The head is NOT included in this measurement.